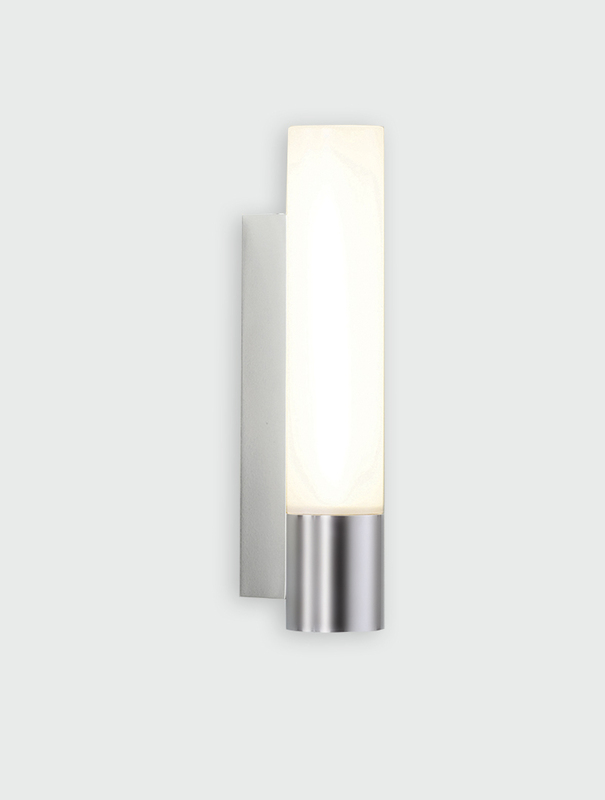 The Kyoto wall light has a polished chrome finish and frosted opal glass shade, giving off a lovely glow. 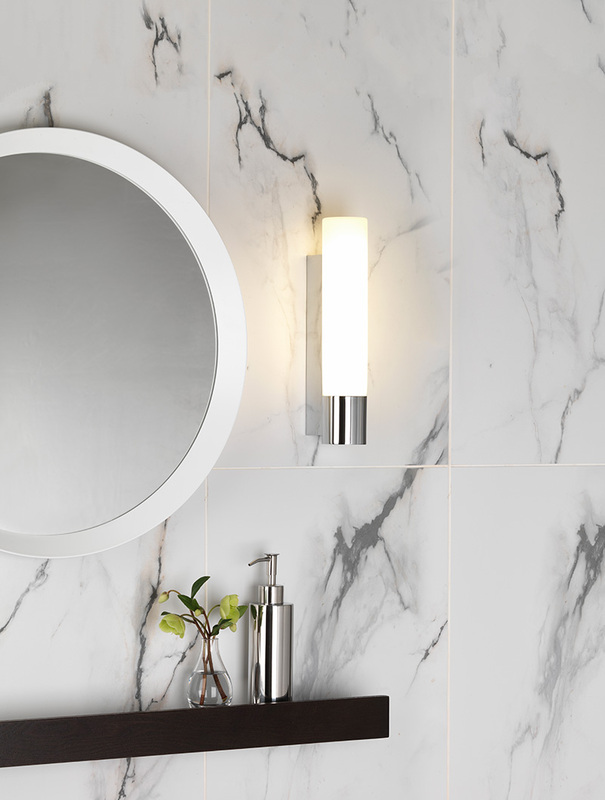 Suited for a bathroom or wall light, we love to place a Kyoto on either side of bathroom mirrors. Don't forget your light bulb! This bathroom wall light is an IP44 rated light that has a dedicated LED lamp. 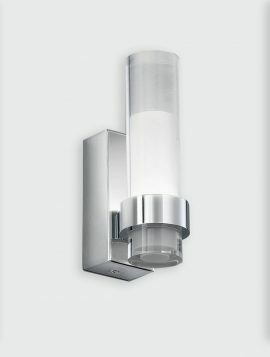 Beautifully styled in a contemporary polished chrome finish with a glass rod that illuminates when on. The Arezzo wall light is a classic contemporary wall light with an art deco feel. This wall light has a clear glass cylindrical shade which is held by three metal spokes and has a small cylindrical opal white glass diffuser. The polished chrome detailing adds a modern feel to this light. Add dimmable lightbulbs to control your level of lighting. 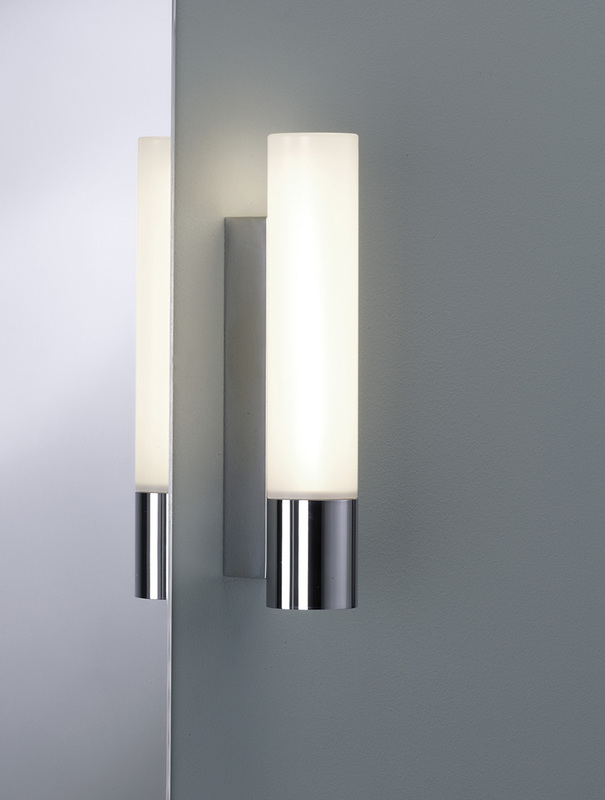 This bathroom wall light is IP44 rated and sits perfectly on either side of a mirror. 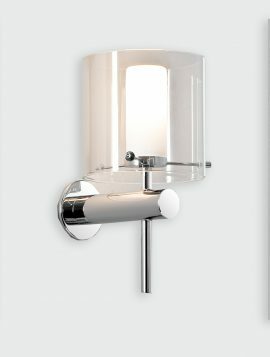 The Alba wall light is a small block light that has an integral LED lamp and finished in a modern polished chrome. 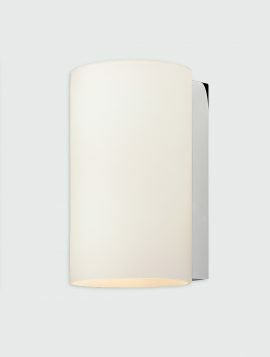 With the Alba’s discreet sizing and up/down lighting effect these would work well in any home. Create a dramatic effect in a hallway by installing a few along a wall or to highlight either side of a bed. 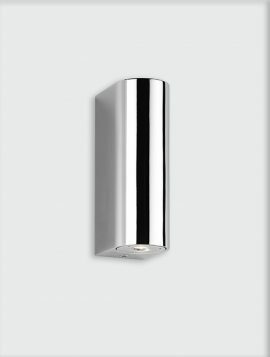 The Cyl 200 wall light is a simplistic cylindrical wall light which has an white glass diffuser and chrome detailing. The Cyl holds two dimmable 60w lightbulbs, emitting a warm glow of light to your living space that you can control. 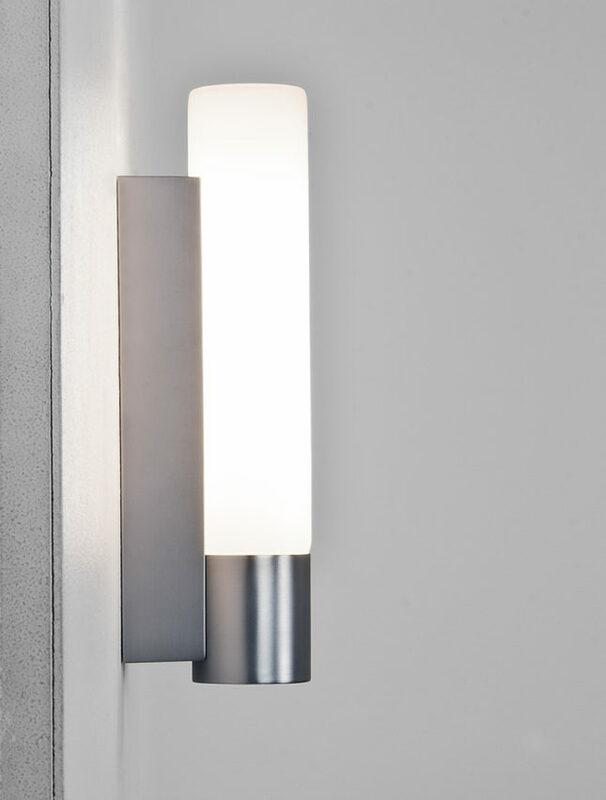 Complete the look with the Cyl 260 Wall Light.